Law enforcement official accused of ignoring warnings about Parkland school shooter, failing to discipline deputies who did not intervene. 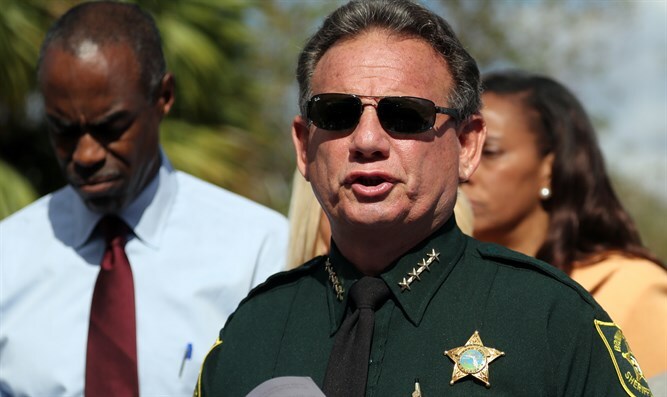 JTA - Broward County Sheriff Scott Israel has come under fire for his office’s response to the Parkland, Florida school shooting that left 17 students and teachers dead, but he said he will not resign. Israel, the county’s first Jewish sheriff, acknowledged on Sunday on CNN’s “State of the Union” with Jake Tapper that an armed Broward County Sherriff’s deputy did not enter Marjory Stoneman Douglas High School when former student Nikolas Cruz began firing an AR-15 rifle in the halls of the school. Israel said when he saw video of the incident and realized that Deputy Scot Peterson did not perform his job, he called him in and suspended him without pay. He said his office was moving toward firing Peterson when he resigned. Three other deputies are alleged to have arrived at the scene and not entered the building as well. This is currently under investigation, Israel said. Tapper also brought up the at least 18 calls made to the Broward County Sheriff’s Office related to the shooter prior to the shooting. What action was taken following each call currently is under investigation.